The rheumatoid arthritis space across the eight major markets (8MM) of the US, France, Germany, Italy, Spain, the UK, Japan, and Australia, is set to grow from $19.5 billion in 2015 to around $28.5 billion by 2025, representing a compound annual growth rate of 3.9%, according to GlobalData, a recognized leader in providing business information and analytics. The company’s latest report states that major growth drivers include an increase of prevalent rheumatoid arthritis cases, the anticipated introduction of interleukin (IL)-6 inhibitors, the launch and continued uptake of biosimilars for all established biologics on the market, and the early diagnosis and treatment of patients with the disease to limit progression. Kavita Rainova, MSc, Senior Healthcare Analyst at GlobalData, explains: “Biosimilars for all established biologics are expected to launch in all 8MM by 2025, with the exception of etanercept in the US and certolizumab in Japan. Overall, biosimilars will account for 23% of the market by 2025. The other drug class that is expected to command noteworthy market share is that of Janus Kinase (JAK) inhibitors. The uptake of Pfizer’s Xeljanz, the only JAK inhibitor currently available for rheumatoid arthritis had been low initially due to certain safety concerns, with primary research conducted by GlobalData indicating that rheumatologists reserve Xeljanz for fourth-line therapy. Even so, sales of the drug are expected to rise in the first half of the forecast, partly due to increased familiarity with the drug by physicians, as well as its potential launch in the EU. Apart from Xeljanz, four other JAK inhibitors are expected to launch during the forecast period: Eli Lilly/Incyte’s baricitinib, Astellas’ peficitinib, AbbVie’s upadacitinib, and Galapagos/Gilead’s filgotinib. Rainova continues: “Although available biologic agents are reasonably effective at managing the symptoms of rheumatoid arthritis and preventing disease progression, the challenges of treating the disease lie in the unpredictable responses of each patient, representing one of the biggest unmet needs in the market. 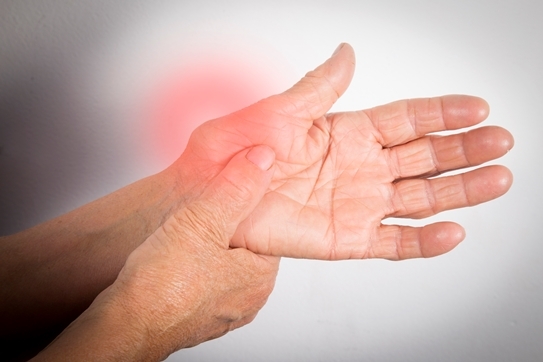 Information based on GlobalData’s report: PharmaPoint: Rheumatoid Arthritis – Global Drug Forecast and Market Analysis to 2025.